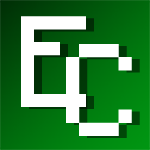 I've been considering the idea of having an online store where people can purchase Econicredits for in game use. Thoughts? Sounds good! Is there anyway we can get a donator thing where we can donate any amount of money? Why don't you just use a PayPal donation system? You can get a 'donate' button that way and the added convenience that just about anyone has PayPal. I like the idea but please don't make it to where you need them to be able to pay the game because everyone else who buys them gets like a full diamond suit and a castle.